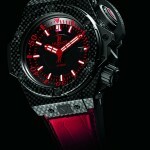 The “5 Million” by Swiss luxury watch maker Hublot, does not necessary meant that the watch costs $5 million but then again, looking through its specifications and how it came about, perhaps it might just well be worth that much. 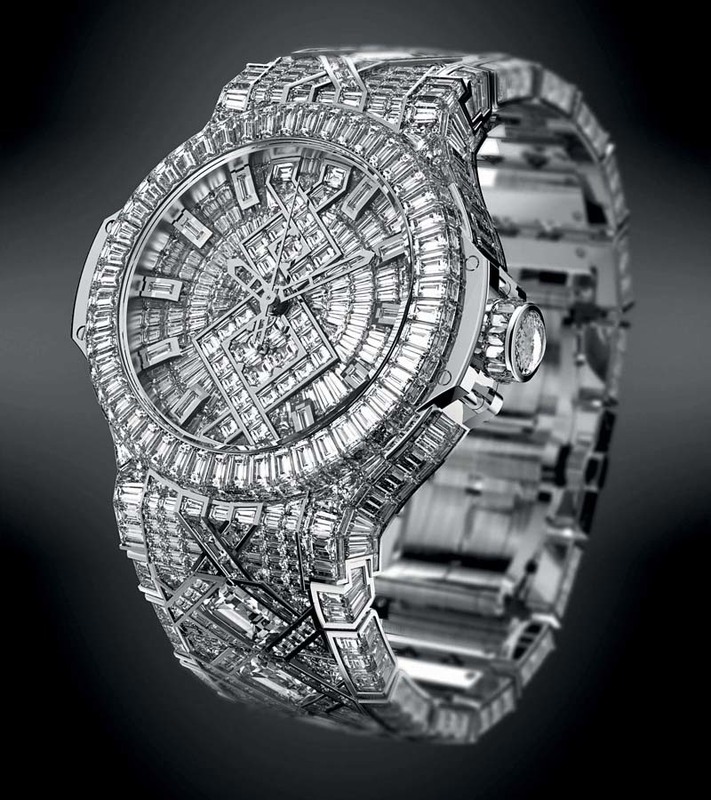 making its point of a (very) luxurious statement, it contains an incredible 1,292 girl’s best friend (that’s diamond – if don’t already know) with more than 100 carats of baguette diamonds and six square emerald cut stones, each weighing in at more than 3 carats – spreading around the watch with 18k white gold set as its backdrop. 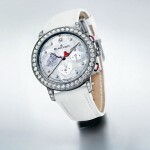 expect to be dazzled by these precious stones on its 44mm case, crown, dial face, and as well as the bracelet. 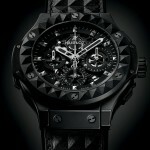 powered by HUB 1100 self-winding mechanical movement, the 65 jewels The “5 Million” watch features sapphire with anti-reflective coating, metallized Hublot logo, engraved Hublot seal on its caseback, facet and diamond-polished rhodium-plated skeleton hands, and a power reserve of approximately 42 hours. wow. sounds like a watch that would most definitely garner yourself some deserving attention – both the good and the bad. no word on its pricing or availability. 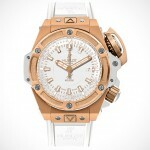 however, it would help if you could give your favorite Hublot retailer a ring and check it out. more sparkles in the images after the break.